complete tutorial with pictures to get E.C (encumbrance certificate). 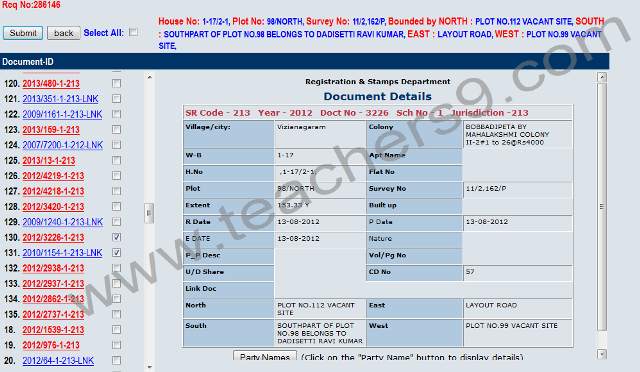 How to know the property details of a particular document. Now a days property transactions (agriculture lands, plots, sites, etc…) occurs very frequently.So many people including me are confusing about genuineness of sellers document and weather he is the current owner or not? Then automatically we go to nearest mee-seva center and pay some amount to get E.C (Encumbrance Certificate). 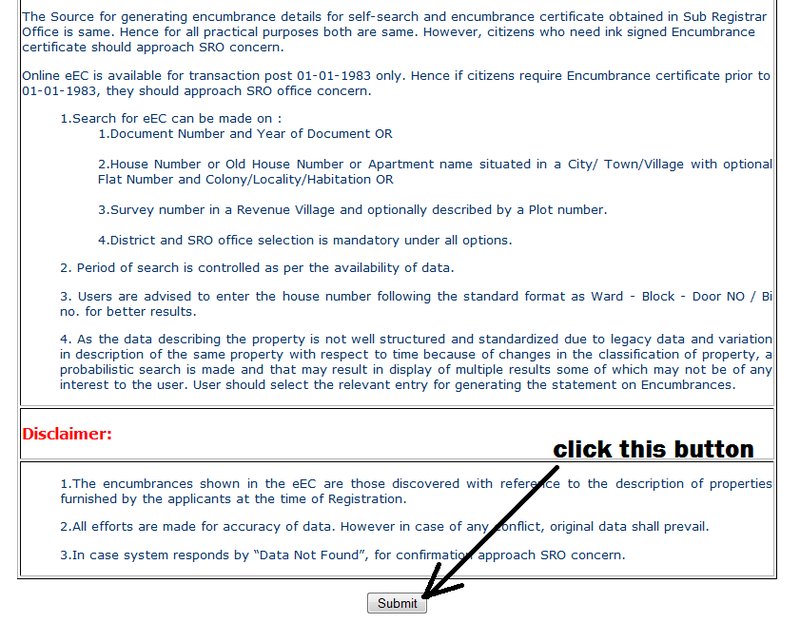 To get this E.C we must know the document number,survey number,boundaries. Do you know we need not go to any mee-seva center and need not pay any amount.we may get all details of a document in a.p registrations website. Here I am sharing some information about this how to get this details with pictures. then read instructions and click submit button like above picture. now in that page we need to select 1)document No. 2)enter document number 3)year of registration and finally 4)registration office.in this we need not enter full name, if we enter starting letters then automatically it displays drop down list then we may select one that yours.At last click submit button. thats all enjoy it.And post your valuable comments.Thank you. Note.This is for your information only.But if you want the official certificate we need to apply through mee-seva.Both are same the difference is only signature thats all.